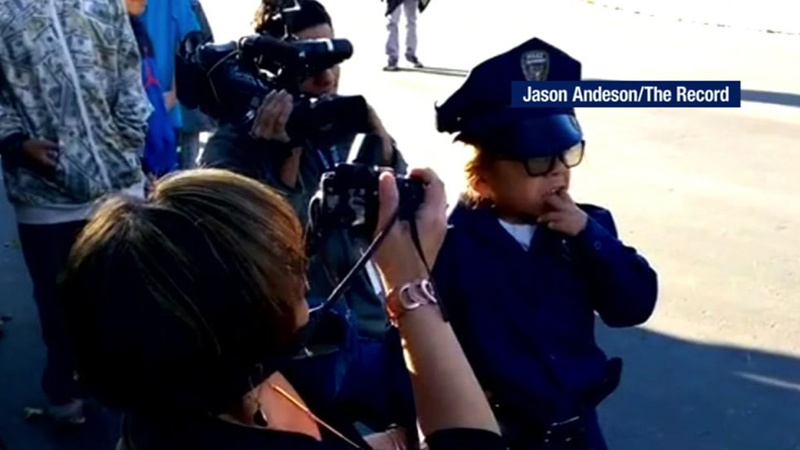 STOCKTON, Calif. (KGO) -- The Stockton police department wanted to make 7-year-old Ricky Buzo's birthday unforgettable. Ricky suffers from a rare genetic disorder. His mom says he wants to be a cop. She contacted the department weeks ago, asking for an officer to stop by. Over the weekend, a motorcycle unit, the SWAT team's 17,000 pound armored Bear Cat, and more than a dozen officers, including Stockton's police chief all stopped in to make Ricky's birthday special.